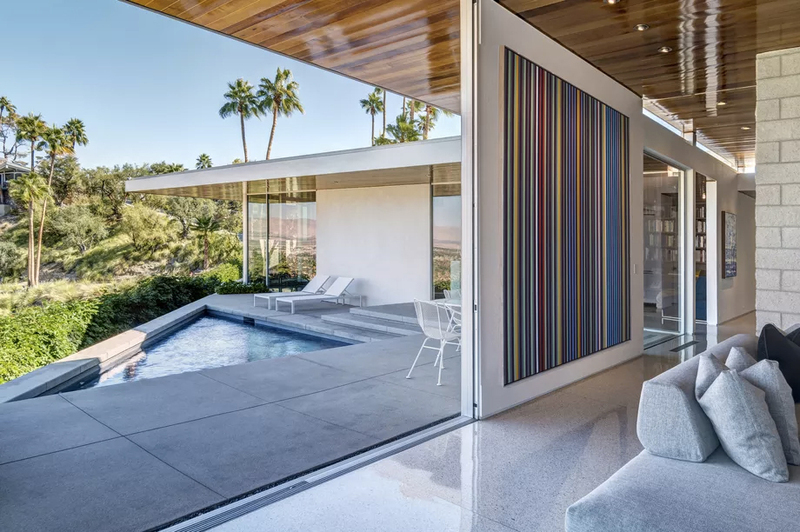 Donald Wexler protege Lance O’Donnell of o2 Architecture designed this contemporary Palm Springs home which borrows many midcentury tricks. 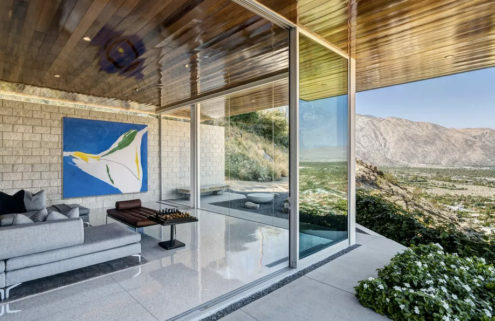 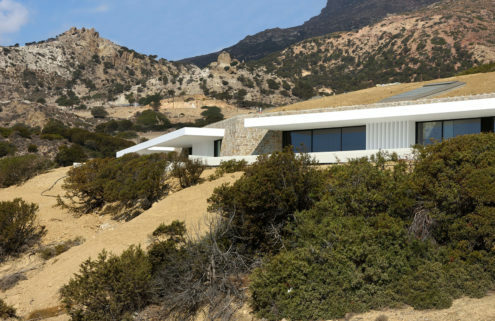 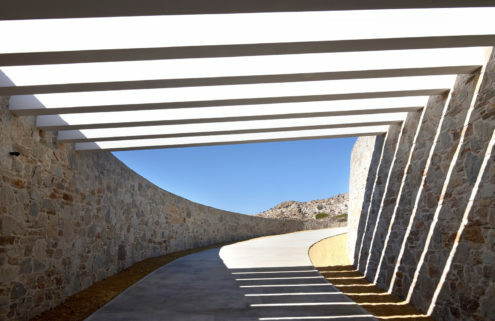 The single-storey midcentury property features a flat-roofed design, with walls of floor-to-ceiling glass looking out onto its desert surrounds and mountains in the distance. 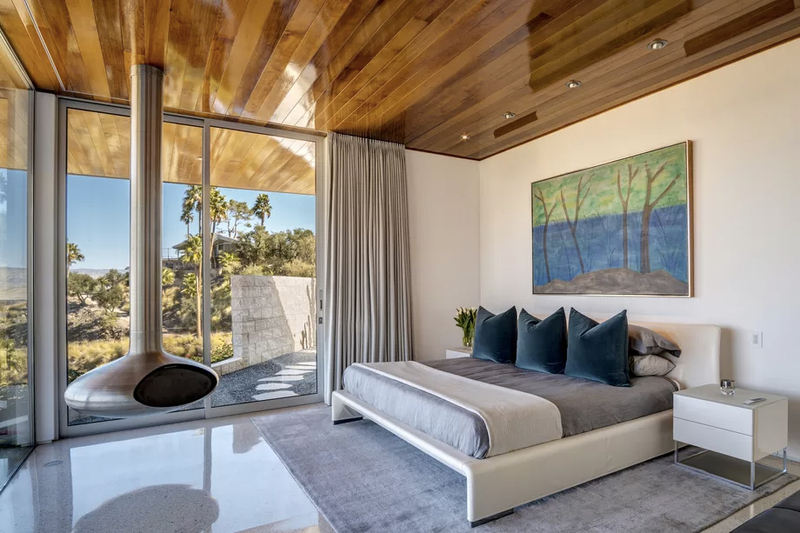 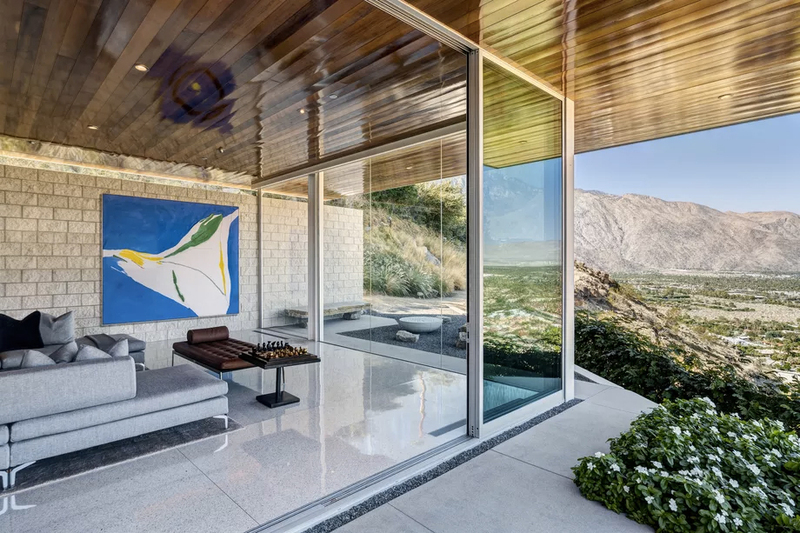 Inside, poured terrazzo floors and cedar ceilings are offset by exposed block walls and bespoke walnut cabinetry across the Palm Springs property, on the market via TTK Represents for $3.495m. 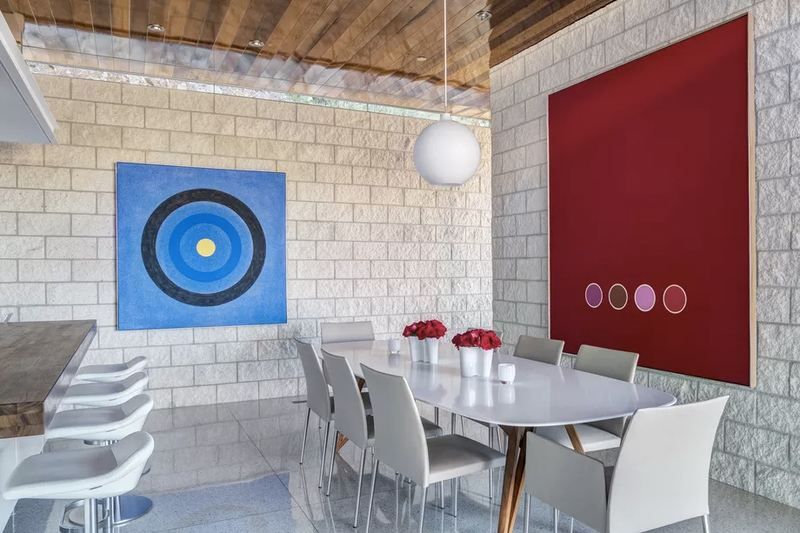 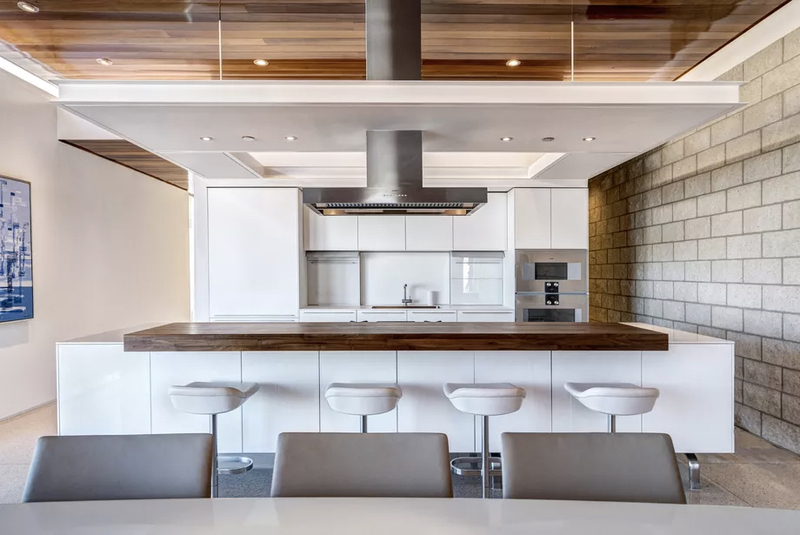 The 2,736-sq ft modernist pad belongs to art dealer Dennis Yards and has been kitted out with museum-quality lighting and fixtures to display artworks, while the kitchen is a custom Bulthaup design. 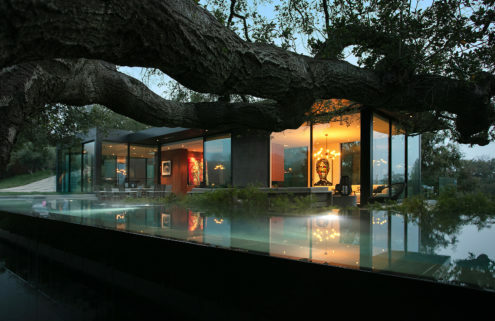 Outside there’s a triangular salt-water pool for cooling off in and gas-powered fire pit.